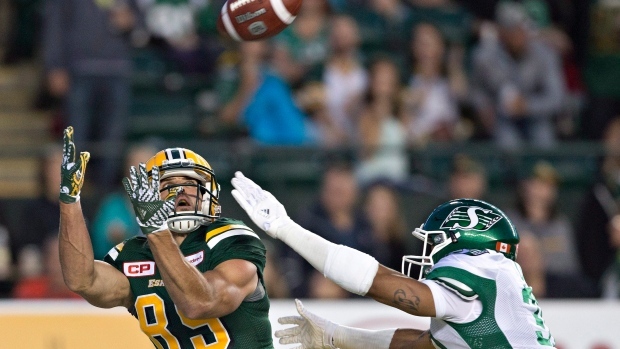 Edmonton Eskimos national wide receiver Nate Coehoorn has decided to retire from the CFL because of head injuries, Coehoorn announced via his personal Instagram account Sunday. "I know I could still play a couple of years. However with how my body and more importantly my head have been acting up in the last couple years due to injuries," wrote Coehoorn. "I feel that long term health and quality of life are my priority now. "People always say 'you’ll know when it is time to walk away' and I have complete peace with the decision I am making." The 30-year-old Medicine Hat, Alberta, native began his career with the Eskimos in 2011 and played six seasons with the club, accumulating 211 receptions, 2376 receiving yards and six receiving touchdowns in 91 games played. Last season, the Eskimos came within one win of playing in the Grey Cup, losing to the Ottawa Redblacks in the Eastern Final. Coehoorn won the Grey Cup with Edmonton in 2015.